Whether you’re a weekend warrior or a serious athlete, back pain can be a major deterrent when it comes to getting regular exercise. 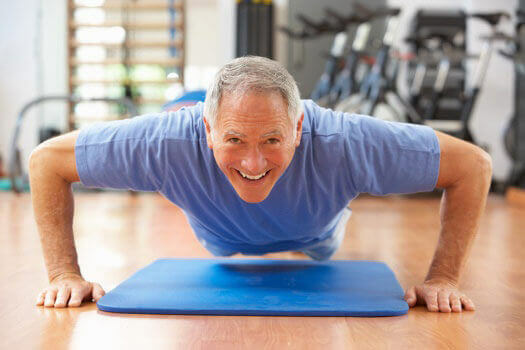 After getting the OK to return to some type of exercise routine or physical activity from your doctor once your back pain has been properly diagnosed and treated, the next step is determining how to safely exercise with back pain. Ensure that any machines you plan to use for exercise are properly adjusted to your specifications before getting into your workout. If certain exercise routines are too much for your back, consider some modifications until the pain is under control or completely gone (i.e., going for a brisk walk instead of an invigorating run, doing fewer reps with lighter weight). Reduce the risk of aggravating back pain by taking the time to do a proper warm-up before exercising. This also applies to activities like jogging and swimming. Consider trying something new or finding a new form of cardiovascular or aerobic activity if certain exercises are too painful. If, for instance, you find that you can no longer get through a grueling aerobics class, consider taking a water aerobics class instead. A major cause of exercise-related back pain is failure to maintain proper form, especially when lifting weights or performing situps, pullups and crunches. Take some time to ensure that you’re assuming the proper form to minimize back discomfort. It’s important to follow your doctor’s instructions when it comes to any type of exercise. It’s equally imperative to seek medical assistance if back pain following exercise worsens or fails to respond to “self treatments” like getting some rest or taking a mild pain reliever. To speak to a professional spine specialist about your recurring back pain, reach out to The Spine Institute Center for Spinal Restoration at 310-828-7757 and schedule an in-person consultation, or visit our website at www.laspine.com.